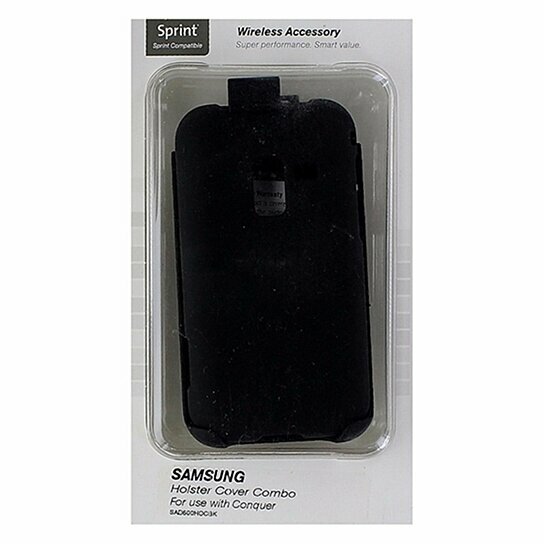 Sprint packaged, Technocel products, 2 Piece Hardshell Case for Samsung Conquer. All Matte Black finish. Black holster with rotating belt clip. Case covers front and back of device.